A Lockheed Martin Atlas 3B rocket lifts off from Launch Complex 36B at Cape Canaveral Air Force Station in Florida on Thursday. 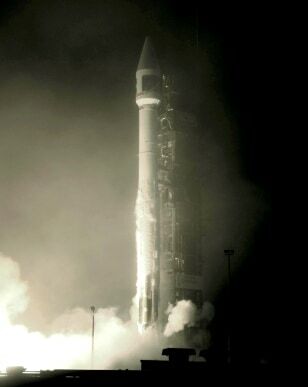 It was the final mission for the Atlas 3 line and marked the end of an era at the complex. Atlas 5 rockets lift off from a newer pad nearby.